Embroidery Library has more than 100,000 designs for embroidery machines. Browse through the Designs by Category tab, or use the search box to find designs in a style or theme that you enjoy. When choosing designs, keep your machine's format and limitations in mind. 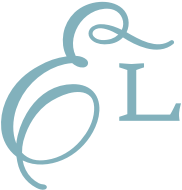 The format, sizes, and stitch counts of the designs are shown on the website. 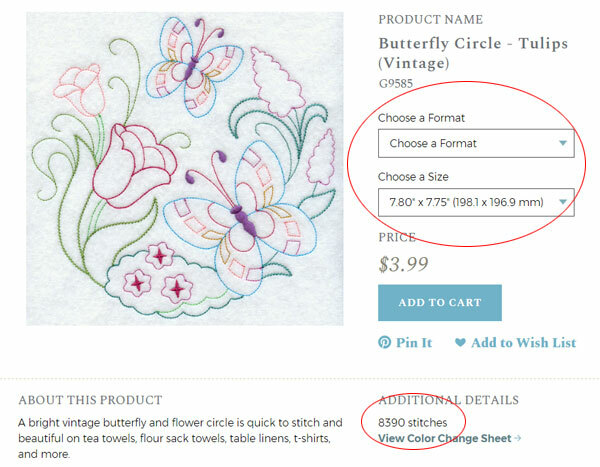 Select the file format your embroidery machine uses. If you don't know the format, you can check our list right here. 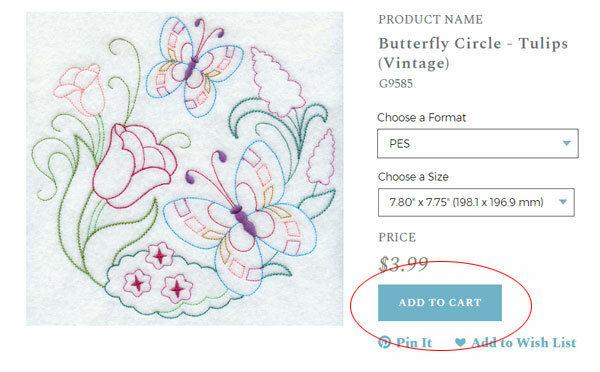 Select the size of the design you want to purchase. 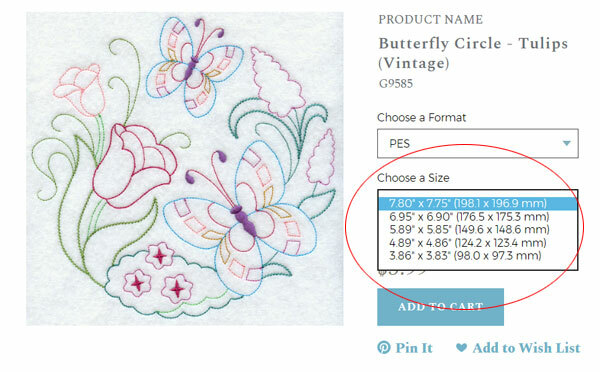 If you don't know your machine's size and stitch count limitations, you can reference this list. You'll be routed to your basket where you can see the design inside. You can continue shopping and add more designs to your basket, or place your order. When you're ready to place your order, review the items in your basket. Do you have the right size? Make any changes before completing your order. Then, choose to pay with credit card or with PayPal. 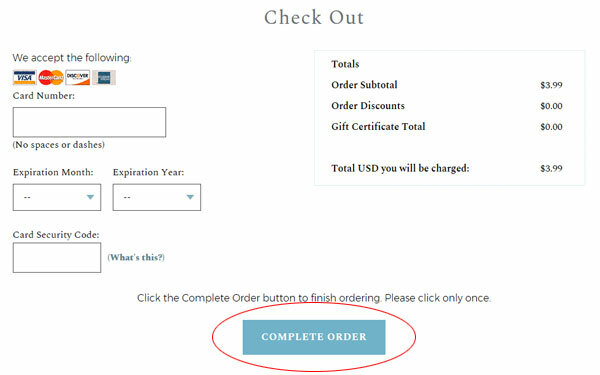 When paying with a credit card, enter your card information and click the "Complete Order" button. After your charge is approved (which takes only a few seconds) you can download the designs. Instructions for downloading are on the HELP page.